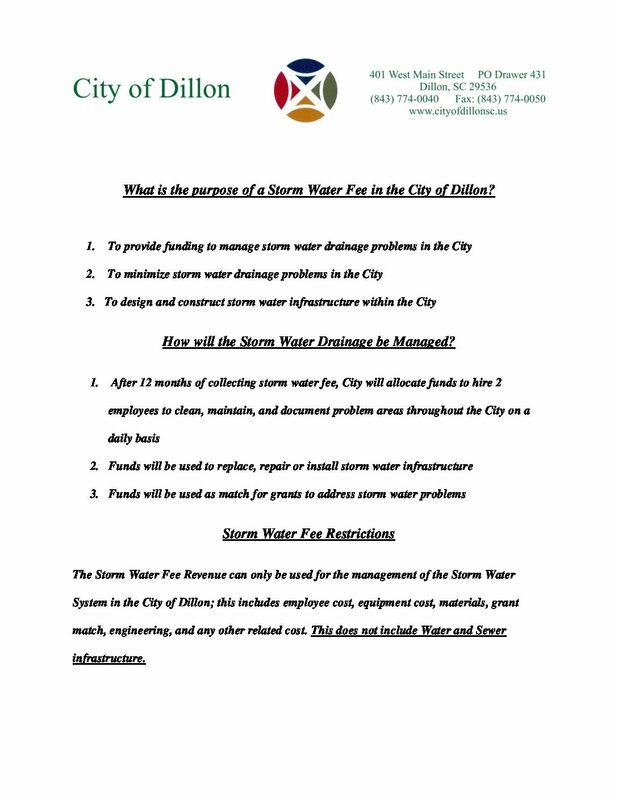 So far City of Dillon has created 4 blog entries. 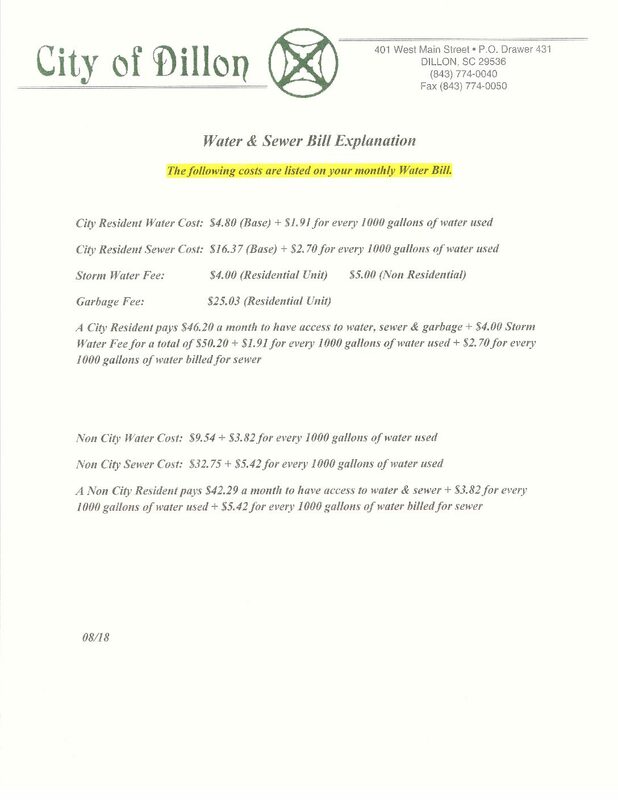 This information is provided to help customers better understand the new rates implemented by City Council. 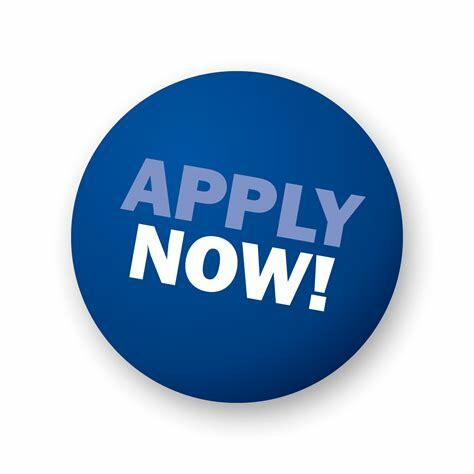 If customers have any questions, they may contact the City Water Department at 843-774-0040, extension 1016 and 1017.